Payments for Boardwalk DIY Studio, Dover’s Mill, LLC and/or Drift North are made via PayPal, but you do not need to own a PayPal account to pay: you may enter your credit card's data directly at PayPal and complete your payment. You don't need to register a PayPal account neither. 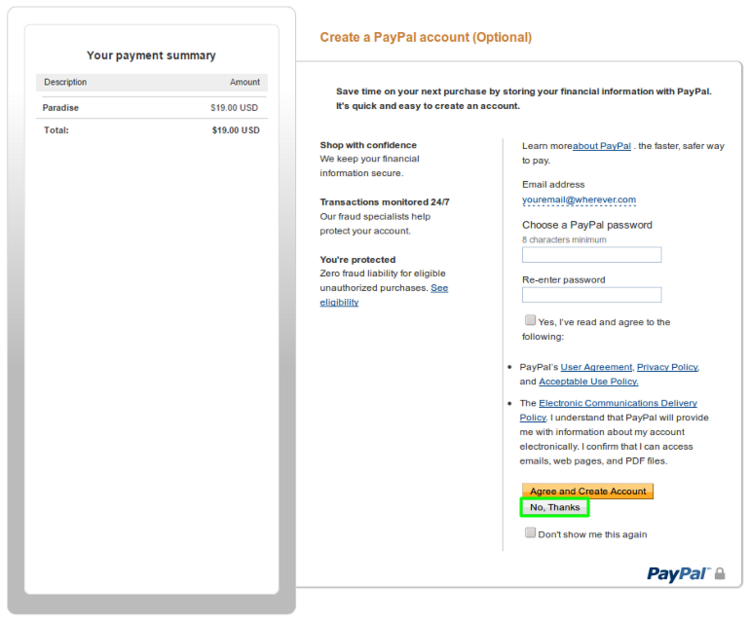 If your PayPal page looks as follows, just click on "Pay with a credit or debit card". Some users may see a variation of the screen above.